At a time where the US economy is performing well, two behemoth Seattle-based companies see the climate as ripe for new integrated payables through new payment technology, and have opened stores where money never changes hands. Both Amazon and Starbucks launched their own versions of the store that is absent of a human cashier, requiring mobile payment capabilities to shop. The first Amazon Go “Just Walk Out” store opened to the public in January 2018, and the company is optimistic about expansion. As customers enter the store, their Amazon mobile app is scanned. As the customer chooses items off a shelf, hundreds of cameras installed throughout the store, record the item and place them into a virtual cart. If the item is replaced back on the shelf, it is simultaneously removed from the cart. As the customer exits the store, their Amazon account is charged for the item(s) in the cart and processed through an electronic payment. So far, the engagement is seamless, and if the process continues to be successful, it will push the retail industry toward automation in ways that we have yet to experience. Mobile wallet payment technology might just be the beginning of retail revolution. We are entering an era where customers of all industries are looking for “faster, smarter and easier.” That means that our phones and wearables could one day replace our wallets. Key findings in “Mobile Banking and Payment Practices of US Financial institutions report”, produced by the Federal Reserve Bank of Boston, show an increase consumer use of mobile banking and payment over the past several years. That means banks are coming on board with their own mobile apps or partnering with mobile wallet providers. And while only 15% of smartphone owners use mobile wallets to pay, that statistic has doubled since 2015. According to a 2017 report by Allied Market Research, the global mobile payments market is estimated to reach nearly $3.4 billion by 2022, with a compound annual growth rate of 33.4 percent from 2016 to 2022. Addressing these trends in an effort to maximize efficiencies and control finances, companies like WEX are leveraging the power of data and technology in order to deliver robust integrated payable products, including virtual cards and mobile wallet features. These products provide more control and visibility than ever before. 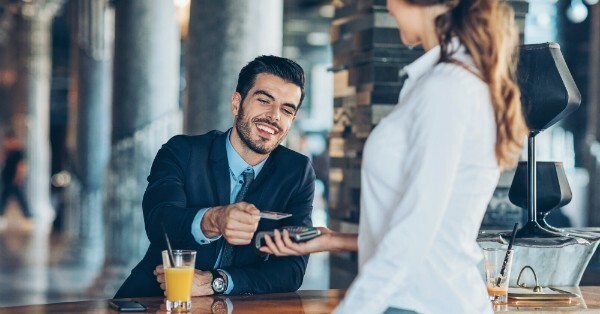 While the Corporate Travel Card is the most common payment tool in business today — essential in managing expenses for business travel, WEX also offers cards customized to specific company needs. The Ultimate Card gives mid-to-large enterprises flexibility, unified data capture, and enhanced expense reporting and control. 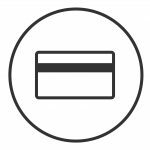 The Purchasing Card is a specialized product to help mid-to-large companies streamline the procure-to-pay process and reduce the costs associated with authorizing, tracking, purchasing, and reconciling business purchases. As the cards are Mastercard cards, businesses are able to leverage Mastercard’s powerful global network for multiple purchases with the simplicity of a single platform. But with so many options available, which are the right solutions for your business and what are the advantages? Consumer Reports outlined these 5 reasons to use a mobile wallet. 1. Mobile wallets offer increased security. They’re safer than carrying a credit card or cash in your wallet. That’s because the information stored in a mobile wallet is encrypted, so the details of your credit card, for instance, aren’t accessible to others. When mobile wallets transmit data to make payments, they never transmit your actual account or card numbers. Instead, they use encrypted payment codes. If phone can’t be opened without your fingerprint or a personal identification number, your data is much tougher to access than opening up your wallet or pocketbook. 2. Retailers widely accept payment by mobile wallet. Samsung Pay can be used at more than 10 million US stores, Apple Pay at more than 3 million stores, and Android Pay at more than 1 million stores. The numbers will grow as retailers upgrade their payment card readers. The new readers come with near field communication (NFC) technology, which is used by mobile wallets to transact payments with cash registers. Samsung is the most widely available because it uses NFC technology and works with a second technology called Magnetic Secure Transmission, which mimics more securely the way a magnetic stripe works on a traditional credit card, according to Shruti Sehgal, a company spokesperson. That technology is already incorporated into many card readers. 3. Mobile wallets can be used for online shopping. Increasingly, retailers are making it easy to access your mobile wallet while you are on their websites. That can make online checkout much more convenient, removing the need to type in so many payment card numbers – especially on phone screens. 4. Loyalty rewards programs can be stored in a mobile wallet. When you go shopping and use your mobile wallet to buy, say, breakfast at Dunkin’ Donuts, any points or discounts can be automatically applied at checkout. No need to carry a key chain with lots of store tags attached. 5. Mobile wallets may soon make store checkout faster. There are apps being developed that will let you speed through a store’s checkout lanes or use your mobile wallet to pay while you’re still walking in the aisles, says Amitaabh Malhotra, chief marketing officer for OmnyPay, creators of such functions for apps. While the benefits above are consumer focused, there is equal value to your business. By making purchasing easier for employees, you gain trust and transparency, and by leveraging the use of custom payment technology, your business will hold advantages that set you apart.